The telecommunications sector in Kosovo was liberalized in 2012 and measures were taken to make it compliant with EU regulations. Actions had begun to be taken to stimulate competition and new players started entering the local market. 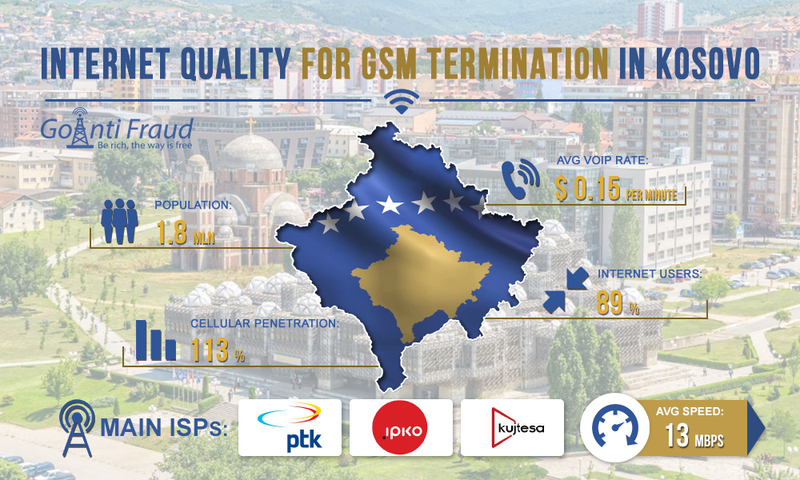 However, the telecommunications infrastructure of Kosovo (excluding the mobile sector) remains weak, due to which fact the fixed-line penetration remains low according to European standards. How did this affect the Internet services market and is it possible to connect a good Internet for termination of calls in this country? Broadband penetration is currently increasing, albeit slowly. Today, this figure is about 89%. New market players dominate in the fixed broadband access sector, in particular IPKO, which provides cable Internet services and at the same time is a cellular operator (a subsidiary of Telekom Slovenia). Effective competition between major cable providers and DSL service providers is observed and there is still little progress in the fiber-optics sector. The PTK provider has invested in creation of fiber-optic networks, but they do not cover all the needs so far. There are also a number of small telecom operators in the sector. The majority of connections are the cable technology based connections. As of 2018, the average Internet speed in Kosovo was 13 Mbit/s. This is an excellent indicator in terms of stable operation of gsm gateway dinstar or other VoIP equipment.